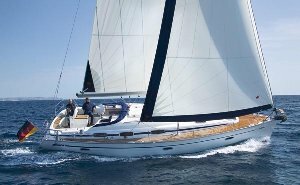 charter(click here to view yachts you can charter)and if you wish to join a flotilla, you pay an extra EURO 180/week per yacht over the cost of the bareboat rate in order to join the flotilla. The flotilla usually starts on Saturdays from for the Cyclades, Ionian and Saronic flotillas(Departure on First Day from 5pm and Return 9am last day and and on Sundays from Kos(Departure on First Day from 10am-5pm and Return 9am last day).There is a lead ship and sailors have a meeting with the leader each day to discuss their next destination. If you join the flotilla you to leave and re-join it any time during the cruise! This is a great way to sail in Greece if you are a competent skipper, but don't have the confidence to sail completely on your own or if you want the benefit of someone with local knowledge and expertise to travel with, but want the privacy of your personal yacht!